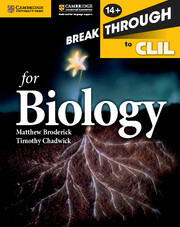 Content and Language Integrated Learning (CLIL) combines the teaching of subject matter with the teaching of English as an additional language, helping students learn language skills as well as subject specific content simultaneously.Breakthrough to CLIL for Physics helps ESL/EAL students get the most out of their studies when learning subjects through the medium of English. 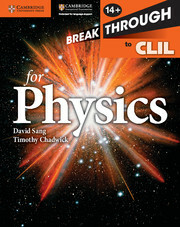 The workbook contains exercises set within the context of core topics to consolidate understanding, embedding practice in aspects of language central to the subject in question.Breakthrough to CLIL for Physics is designed to support any Physics curriculum for students aged 14-16, including UK GCSE, Cambridge IGCSE and IB MYP. 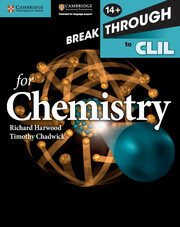 The book should be used alongside a core textbook as well as classroom instruction and may be used within the classroom or as a self-study or homework resource. Write-in workbook with exercises designed to practise language skills and consolidate subject understanding. Explanation of key aspects of language and their relevance within the subject context. Exercises develop understanding of subject knowledge, as well as aspects of English such as meaning of words and sentence construction. Language boxes help students understand aspects of English grammar and vocabulary. The language file at the back of the book gives more information.